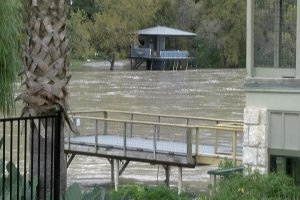 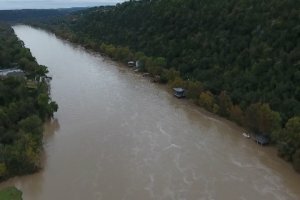 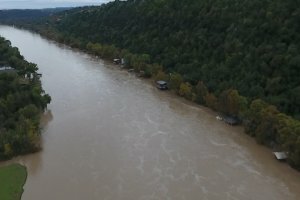 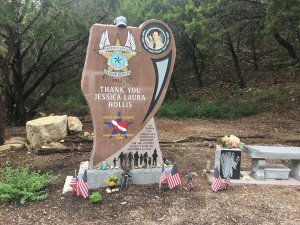 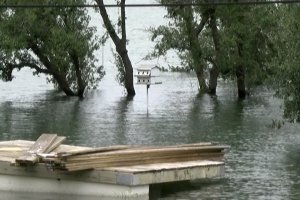 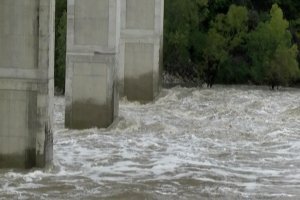 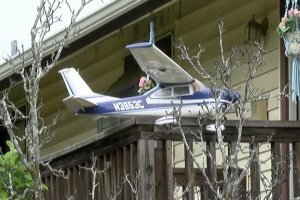 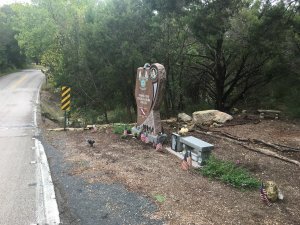 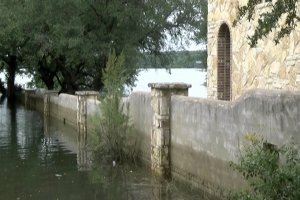 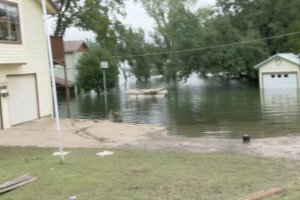 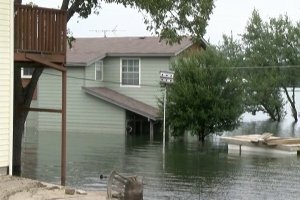 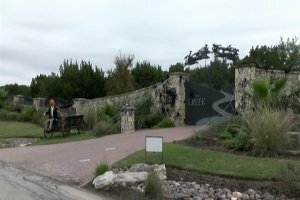 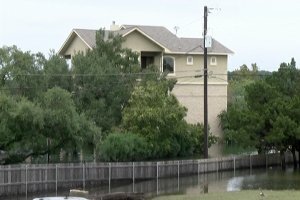 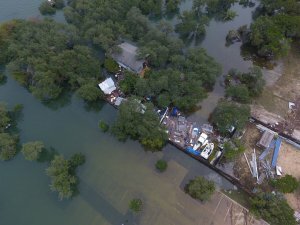 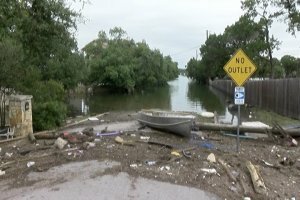 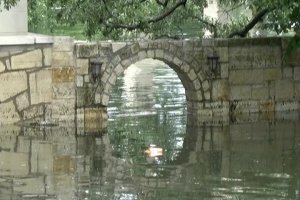 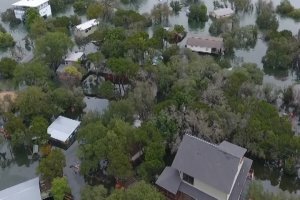 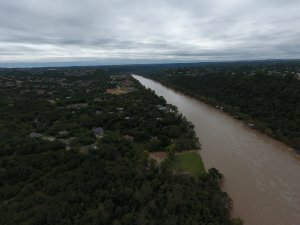 With the torrential rains in Central Texas, last week came the flooding. 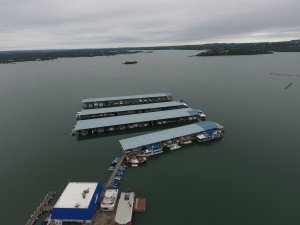 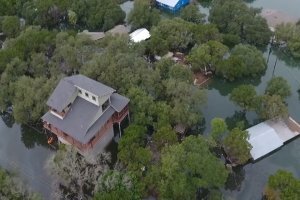 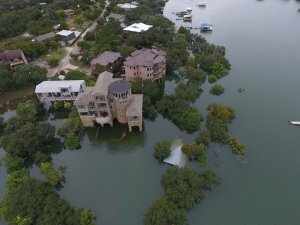 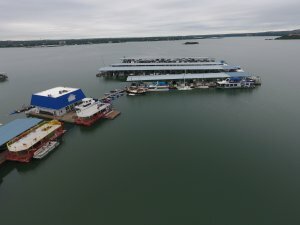 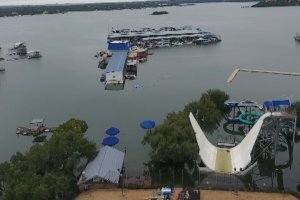 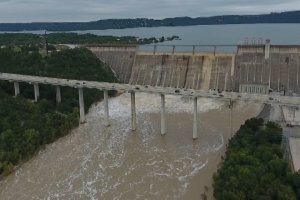 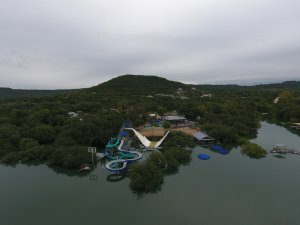 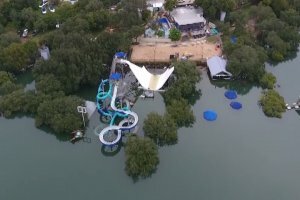 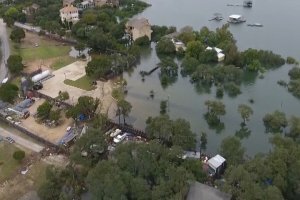 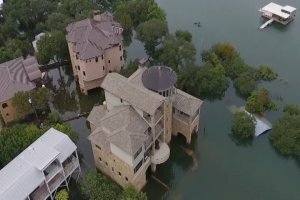 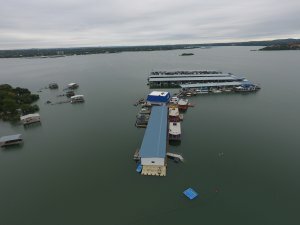 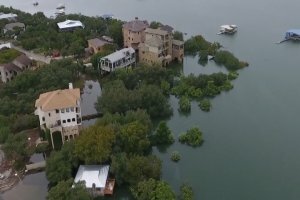 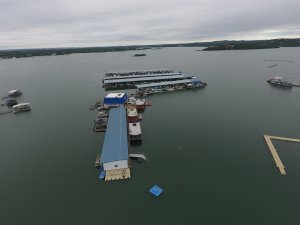 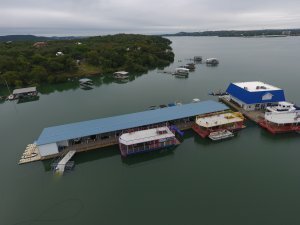 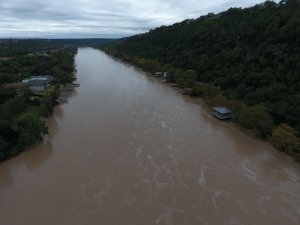 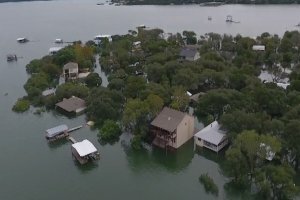 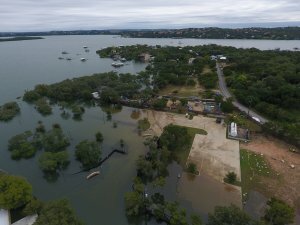 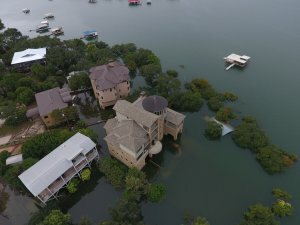 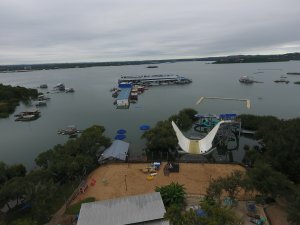 Lake Travis in Austin is at an all-time high and is dropping very slowly. 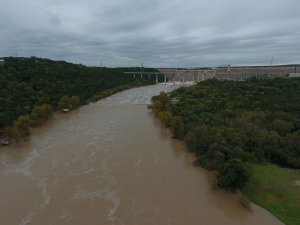 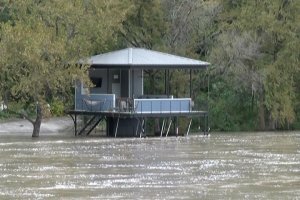 LCRA said incoming water from the upstream lakes is equal to an Olympic size swimming pool of water every 3 seconds. 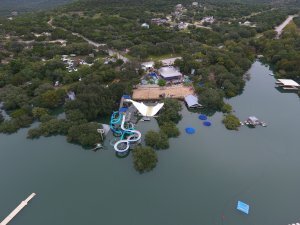 In the Village of Volente is the Volente Beach Club which started out in the early 90’s as just a marina and restaurant that replaced an old 12×12 fishing shack on the land. 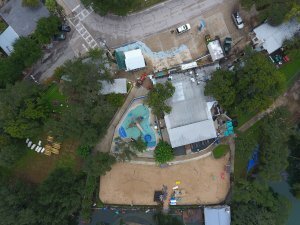 The first year opened over 300 truckloads of sand were brought in to create a beach. 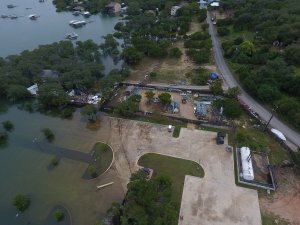 Just a few months later flooding took that sand away. 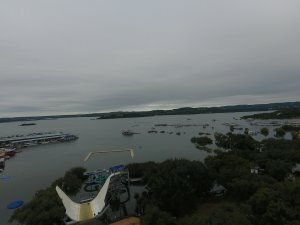 Over the years it has gained popularity to the point a water park was erected. 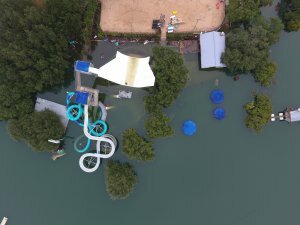 Today, that water park is underwater, the docks are isolated from the main complex just leaving umbrellas above the water line. 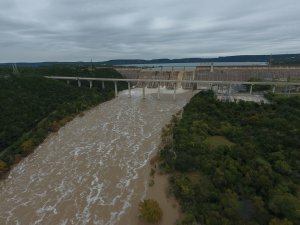 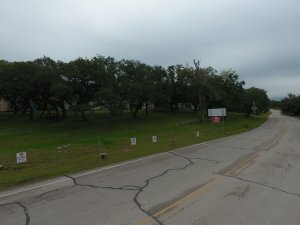 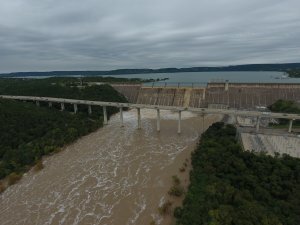 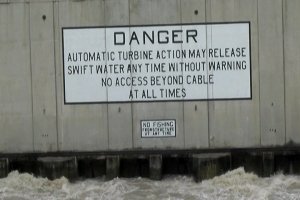 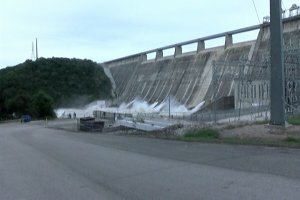 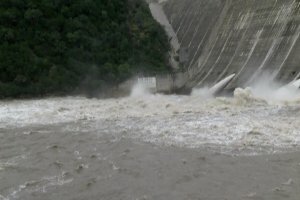 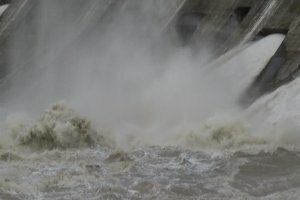 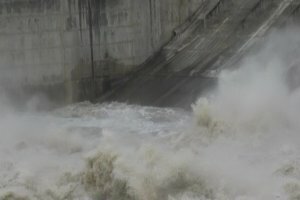 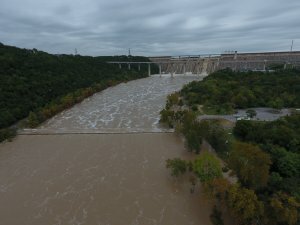 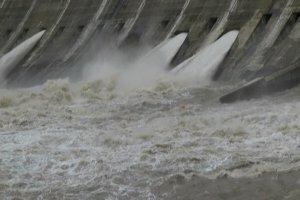 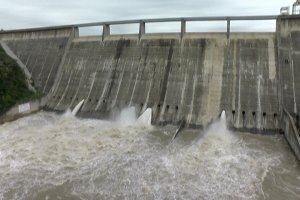 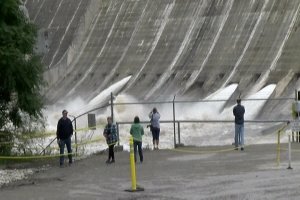 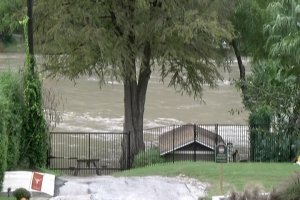 The Mansfield Dam is flowing 4 gates into the Colorado River which will eventually end up near Bay City after passing through Bastrop, Smithville, and Wharton. 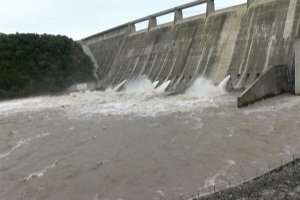 Flooding is expected there. 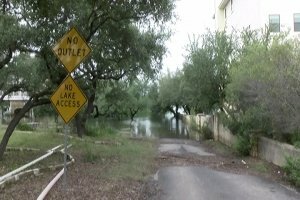 Lakeway has flooding near the marina and Graveyard Point is under water. 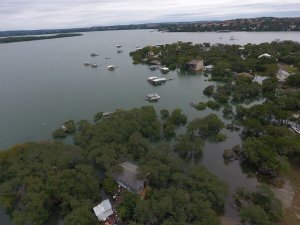 Austin has instituted a boil order. 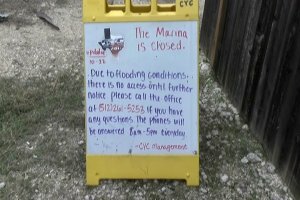 Many restaurants are closed. 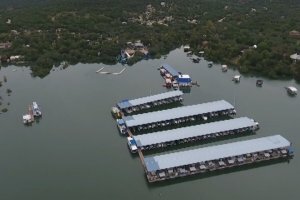 The ones open are serving bottled water. 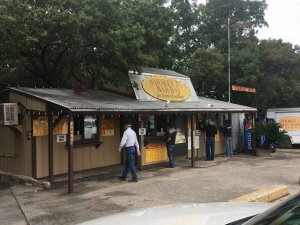 Others like Smokey J’s BBQ which has been in Austin over 30 -years is open but not serving tea. 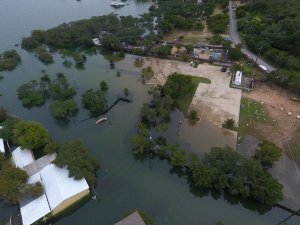 County Line BBQ advertises “WHO NEEDS WATER, WE HAVE BEER AND BBQ”. 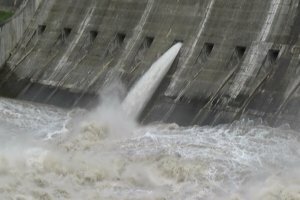 Still, others are closed without a way to rinse vegetables or wash dishes. 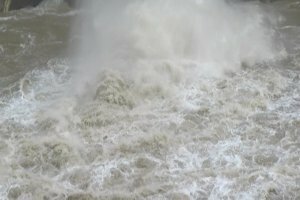 Some are actually boiling the water first before rinsing produce or dishes. 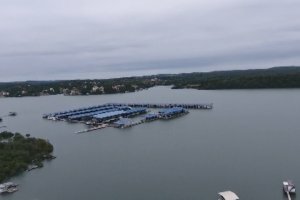 Coffee is hard to find, Starbucks is serving hot coffee but not cold-crafted coffee’s. 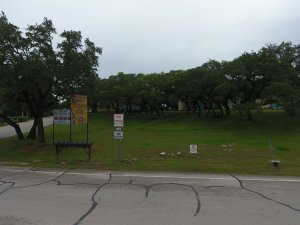 Convenience stores have fountain drink dispensers closed down. 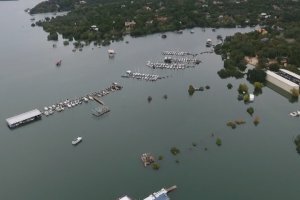 Stores shelves are bare of bottled water, tea, and a few other drinks. 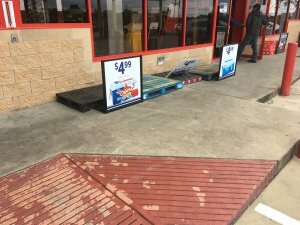 Walmart has quit stocking shelves and selling right off the pallet. 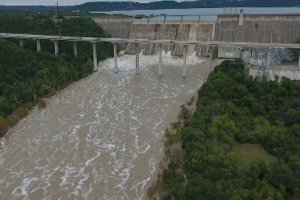 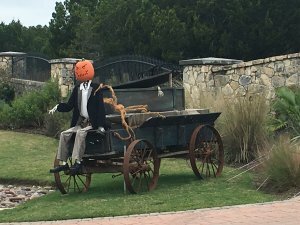 “Much of that estimate, however, depends on variables such as weather and consumption demands,” said Austin Water Director Greg Mezaros. 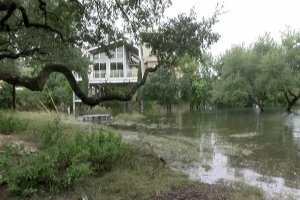 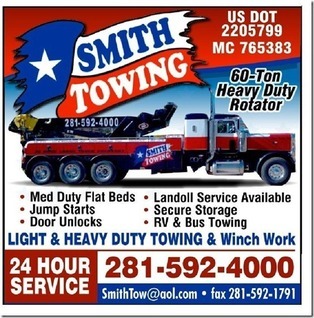 “We continue to make long-term plans in the event this situation isn’t quickly resolved. 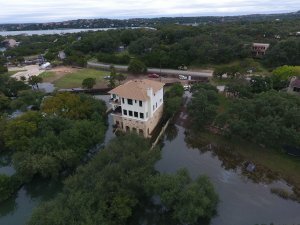 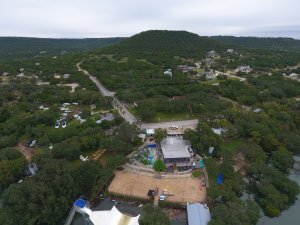 We will continue to monitor the situation and ask that (the) public continue to be diligent in reducing their water usage.” Visitors to Austin tMany hotel rooms have in-room coffee pots where your bottled water will come in handy for a hot cup.